My Bed and Breakfast Top 5 in Venice Italy! Meet the city like a local by choosing a Bed and Breakfast in Venice. Your host or hostess provides tips on what to do in this beautiful city. The tips are better than most travel guides. The B & B’s are an affordable alternative to expensive hotels. You do not have room service, but you get a comfortable home. No. 1: B&B Gli Angeli in the Castello district, because it is near the Arsenale. A quiet place where each year the Biennale art exhibition is organized. Also, hostess Sonia was kind to me… Breakfast and snacks you find in the refrigerator. From EUR 75, - per night, you have a lovely private spot. No. 2: Bed and breakfast Fortuny is elegant and neat. It is very near the Grand Canal and is just 100 meters from Teatro La Fenice. Because of the location and host Andrea, it should be in my top 5. From EUR 130 per night. No. 3: B & B Aqua Venice in the Cannaregio district. I chose it because of the reasonable prices, and the location. Not in the middle of tourism and near the train station. The spacious rooms make you feel good and every morning you have breakfast. From EUR 65, - per night. No. 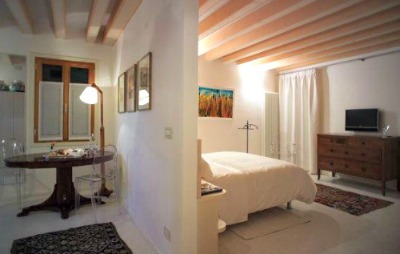 4: Bed & Breakfast La Villeggiatura looks like a hotel, guesthouse or a boutique. But you still get a B & B feeling like it should be. The hostess Barbara makes you feel at home there. 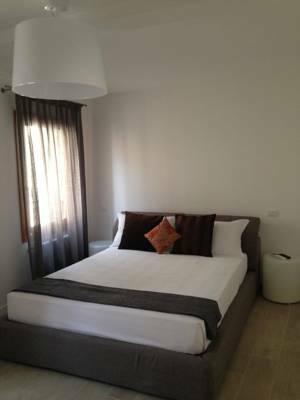 Large rooms, centrally located in the San Polo district. Italian breakfast! In off season the room rates are EUR 100, - per night. No. 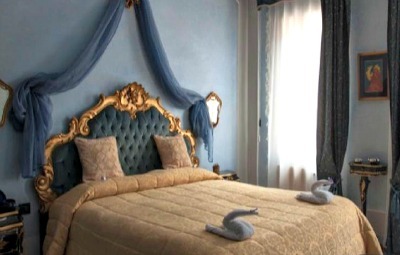 5: Bed & Breakfast San Luca between the Rialto Bridge and St. Mark's Square. Hostess Manuela ensures a good reception service. Classic clean rooms / apartment. Again it feels like a boutique. But have in Venice, everything has a commercial tinge. From 100, - per night. Usually, the owners of the B & B in Venice don’t have dinner together with the guests. With breakfast, sometimes they do so. However, the hostess/host will tell you all the tips you need to know. 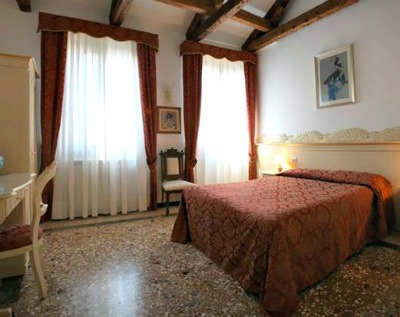 My selected B & B in Venice are affordable and carefully chosen, based on price and location. Be aware of booking early. The B & B’s are quickly booked, and there are fewer rooms than there are hotels. Prices rise in high season and at weekends. The rates are mostly for a double room, and sometimes the minimum stay is two nights. In each Bed and Breakfast in Venice, you have to communicate your estimated time of arrival. There are 172 B & B’s in Venice to choose from, hidden in private homes and apartments - with marble floors, chandeliers, and traditional Venetian furnishings. Others in simple houses, but with a private garden and a roof terrace. Tucked for tourists in typical streets. You've read about Bed & Breakfast in Venice. Read my site about Venice and get more information about this beautiful Italian city.